Double-poling more than 13 hours straight. 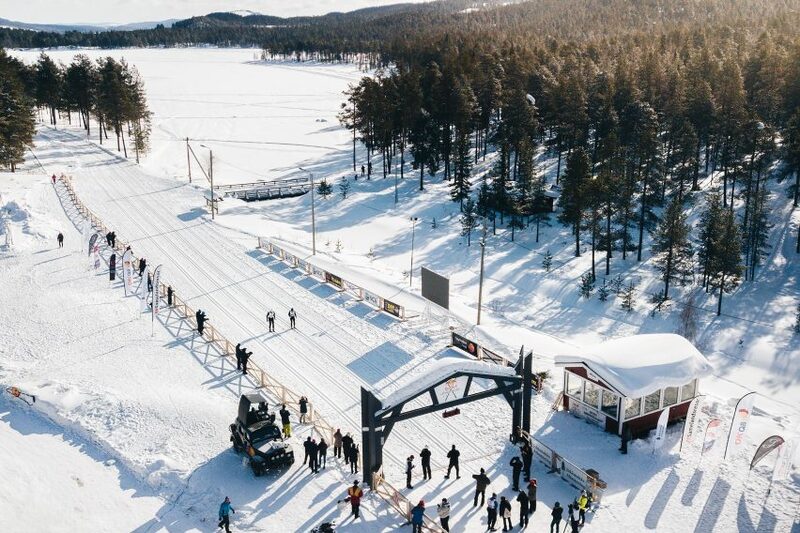 Snowfall made the world’s longest cross country race the toughest to date. Andreas Nygaard from Norway managed his strength and could in the end claim his second consecutive win in Red Bull Nordenskiöldsloppet. With its 220km course, stretching through the Swedish wilderness above the Arctic Circle, Red Bull Nordenskiöldsloppet is considered an extreme challenge. Nearly 400 skiers from 18 nations lined up for the start at Purkijaur village just outside of Jokkmokk. In a region that can see the thermometer drop to -40 degrees Celsius on cold days, the participants could enjoy a mild -10 degrees. But the sunny blue skies from the day before had turned into a full day’s snowfall. “We will see many skiers struggle with the fresh snow. It will be really tough to drive in the front”, said Daniel Tynell, race director and three-times Vasaloppet vinner at the start. Fastest female was 27-year-old Emilia Lindstedt from Sweden, tracing the top males closely the first half of the 220 km long course. Finishing in 14:01:13 she did not only win the women’s class with a record margin, she also claimed 14th place in the near 400 skier strong field! “Participating in this race is both the worst and the best thing I’ve done in my life. I’ve never been so tired in my life! But the victory is by far my sweetest,” said Emilia Lindstedt. On the last 10 kilometers the group split in two with Nygaard driving the faster trio. Approaching the last 200 meters Nygaard managed to leave Fjeld and Řezáč behind with a strong push, crossing the finish line as a winner after 13 hours 25 minutes and 22 seconds. “This was the toughest thing I’ve done. It was brutally difficult. The last 15 kilometers we were a group of skiers going at maximum pace”, says Andreas Nygaard who had already sealed victories in both Vasaloppet and Birkebeinerrennet before coming to Jokkmokk.